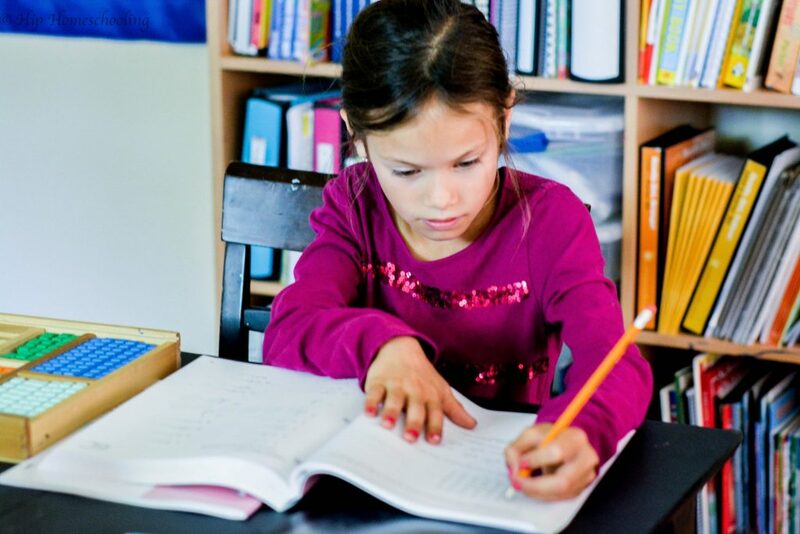 As a homeschool curriculum advisor (I help people choose curriculum), I have learned the top two subjects that strike dread into the heart of parent’s everywhere: math and language arts (watch this video to see my top recommendation for LA). Today I want to talk to the math moms (and dads) who might be reading this. The ones that feel like they can’t homeschool because they struggle with math themselves and don’t know where to start. Today I want to share why you don’t need to be afraid of this important subject, and what you might want to look for when you are choosing a curriculum. If math stresses you out, take a breath, a nice hot cup of something yummy and join me for some peace of mind… you. can. do. this. 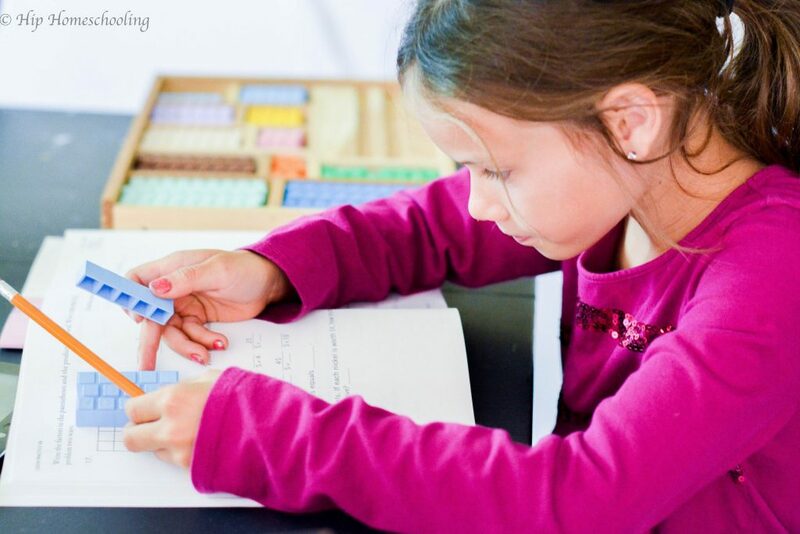 Before you choose homeschool math, it is important to understand the way you approach teaching, the way your child learns, your homeschool dynamics, and your homeschool style. Seem like a lot? Guys, we can figure all this out in about 10 minutes flat. Ready? First, head over and take the learning style quiz here. Take it once for yourself (just adapt the questions as it is written for a child) and once for your child. The way you learn is the way you are going to teach my friends, so your learning style is also your natural teaching style. You don’t have to be stuck with that, but once you have identified that it might help you identify why school is a struggle, especially if you are teaching a child who learns differently than you. 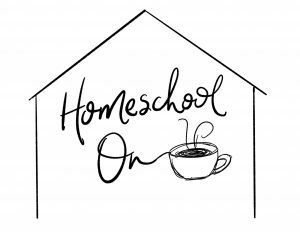 Second, head over and take the homeschool style quiz here. 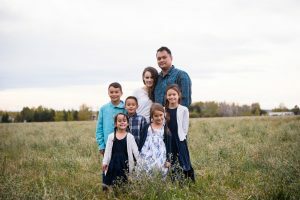 Again, you don’t have to be limited by this, but knowing your natural tendencies, the way you see homeschooling in your mind… is going to help you figure out what you want to change and what you want to keep. 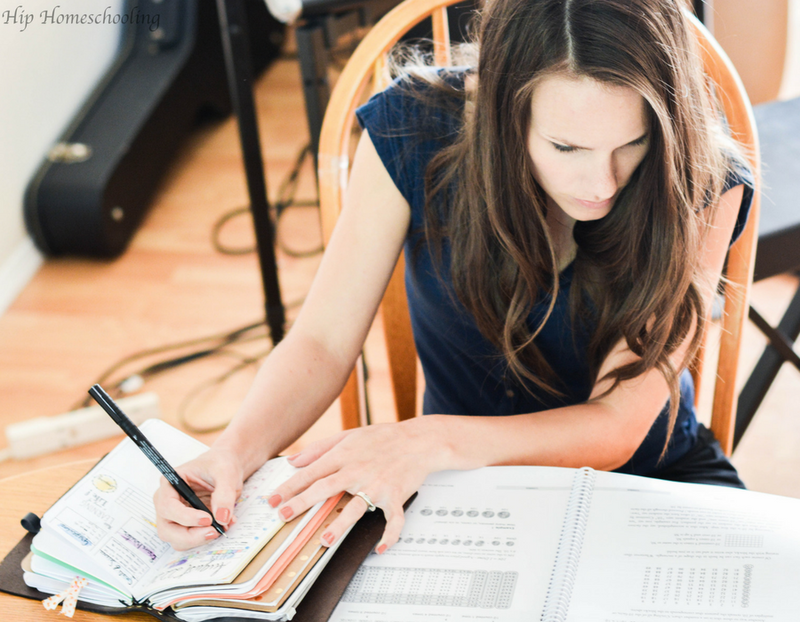 Third, take a few minutes to think about the special circumstances or dynamics in your homeschool. For example, you might have a toddler hanging on your legs and a younger child that needs a lot of one on one help. You might have a child that is really independent and wants to learn on their own. Write down any thoughts or notes that come to your mind, those are key bits of information as to whether or not you can do a math that is more teacher intensive or you need one that is designed to be more independent. Myth #1 If you aren’t good at math, you need an online math program so that you don’t have to do anything. WRONG you guys! So so wrong! 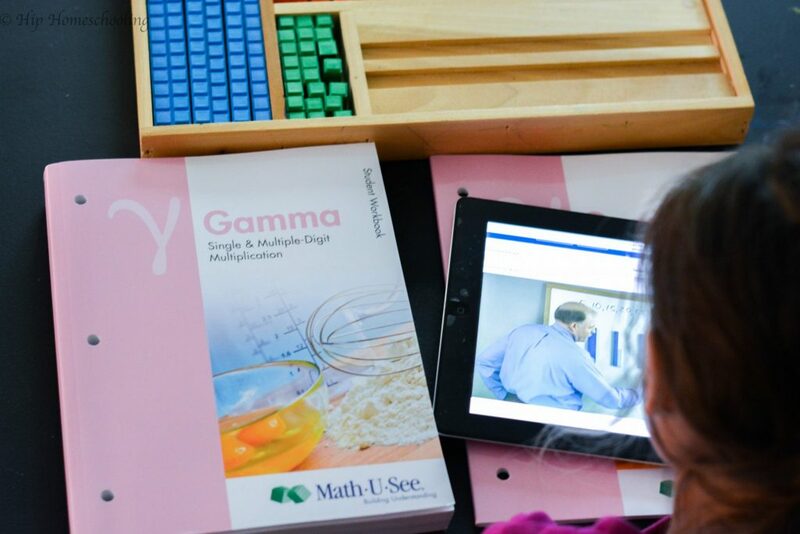 You need a math program that is laid out for you, that is simple and clear in the way it teaches, that has lessons broken down into bite sized pieces that are manageable for both you AND your students. But you do not need to hide in another room while your child does their math online. While there are some great math supplements and games and resources online, you are going to be the most successful with your child if you can do it with them. This is the best way to identify what concepts they are mastering (in which case, skip skip skip) and which ones they are struggling with and might need more help on. Myth #2 Your lack of mathematical skills are going to pass down to your children… you might mess them up! WRONG WRONG WRONG. Here is the beautiful thing that happens when a struggling learner teaches a struggling learner, you both learn together. It is far harder to teach when you are naturally GOOD at something than when you are bad at it. When you are good at something, you are impatient. It comes easy to you, so you can’t understand why someone else can’t see it as quickly as you! When you struggle, you naturally have more grace and understanding for your student. You learn alongside them, you cheer them on, you are more proud and have less expectations! 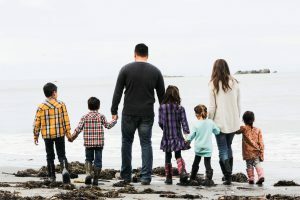 You are NOT going to mess your child up dear mom (or dad), you are going to show them that we all have strengths and weaknesses, that learning happens your whole life long. So here it is, the crux of the matter, what do we use? Am I good at math? What type of learners do I have? Where does this advice I have come from? What’s my story? I was homeschooled until grade 10. I homeschool my children using Math U See. I have children ages 2-9 and they are all different learning styles. I have an auditory learner that needs to hear me speak the lesson or hear it in some way. I have a visual learner that needs to see me write samples before he understands it. And I have a kinesthetic learner that needs to build it herself before she has any hope of understanding and processing a new concept. Math is not my strong suit, I was a little stressed about teaching concepts that I didn’t even remember myself. So I was looking for a math program that had an auditory component for my eldest, as well as a visual and hands on component for my younger two. Here are the top reasons we are using Math U See this year. There is also a teachers guide that has all the lessons clearly laid out for me, answers, how to teach the lesson, etc. The blocks are phenomenal, quality, well-built and give a hands on aspect to the program. Math U See went digital, which made my life like 10 times easier! Now the kids can watch their lessons online without me having to find all their DVD’s. Plus they can use the manipulatives online as well as other resources. Now, Math U See cannot be everything to everyone, I mean, it’s not Nutella 😉 Some of the common concerns I have heard about the program is that because it is so focused on mastering one main concept, some of the other concepts are left until later. 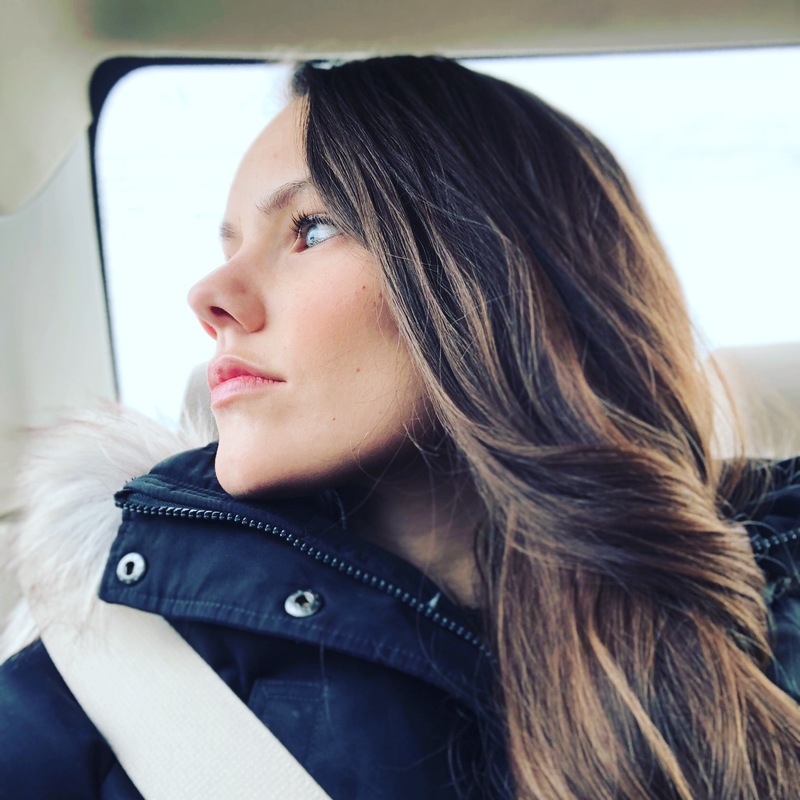 Some people have also told me they feel it is repetitious as the entire year could be focusing on addition (for example) that get’s harder and harder, all building upon one another. For us, we adapt the program to suit our family. So if my children understand a concept in a lesson, I don’t bore them with the rest of the lesson, instead we skip that section and move on to the next one. While each year is targeted on one concept (like addition, subtraction, multiplication, division, etc) it does cover other topics as well. The younger levels include a brief section on telling time, shapes, etc. We are always trying new things to find what works for us, and what works in one season, might not work in another. For this year, we are loving it. 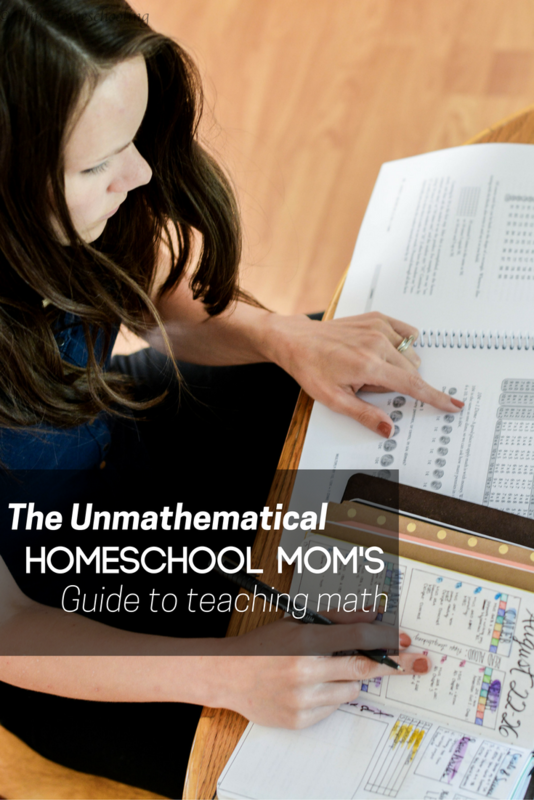 It is easy for me as an “unmathematic mom” and my kids prefer it to the other math programs we have tried so far. You can read a detailed review of how the program works here. Click to shop now or take a placement test. What are your concerns with homeschool math curriculum this year? How can I help? MATH is often the subject most people feel the least confident about – and the one kids complain about the most! I enjoy teaching my child math through play to keep engagement levels high. Learning by playing a game is the best way for a kid to teach themselves a new math concept such as positive & negative numbers. Thank you for sharing. Getting some great ideas today! I feel deep respect towards parents who decide to homeschool their children. That, in fact, takes much more patience and self-control, and readiness to leave one’s comfort zone than when you only have to take your kids to school on time and pick up after. Amazing! I tried to watch the video on the recommended language arts curriculum, but the link said content not found. Is the another link somewhere? Thanks so much! Live all your posts and info!